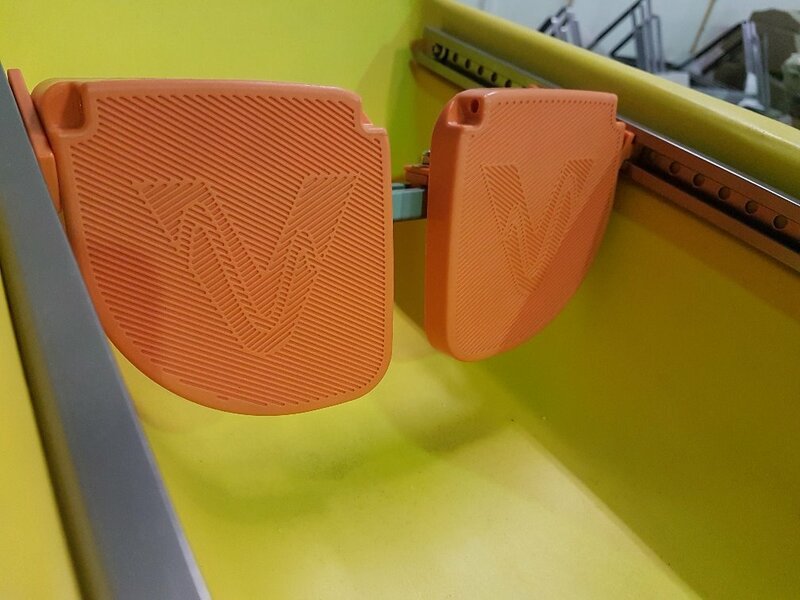 We have just received the first production footrests that Celliers Kruger designed for our new sit-on-tops. His aim with this footrest system was to create an easily adjustable, very robust system that is also lightweight and cool looking. “These are the typical opposing priorities that a designer has to deal with, of course. From a technical point of view, I definitely succeeded with this design. From an aesthetic point of view, you be the judge,” he says. The Footrest system is made up or two main components: extruded, anodised aluminium-alloy rails and the footrests themselves. A set of sliders, spring-loaded, stainless steel pins and Rail End Caps complete the system. 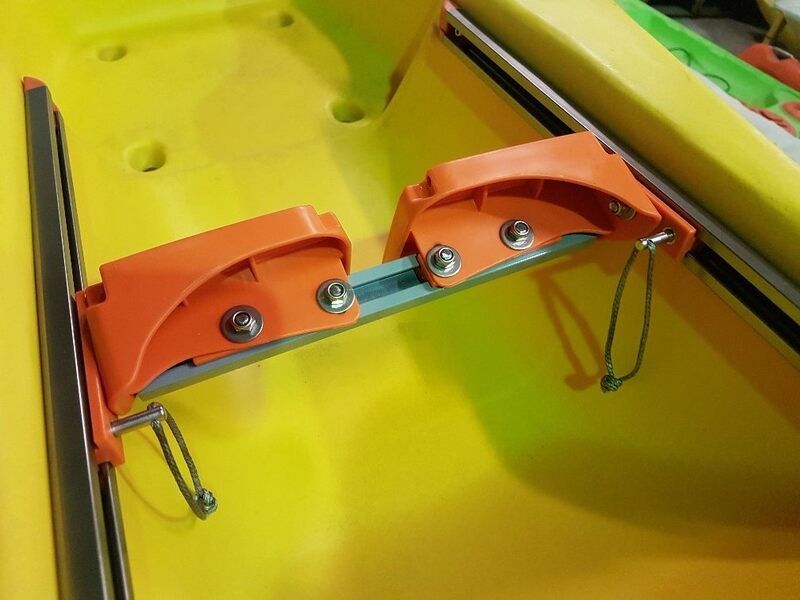 This is a great system that will be used on all our sit-on-top kayaks. “It was designed to be robust enough for our whitewater sit-on-top (the Usutu) too, so you can be sure that it will stand up to serious abuse,” he adds. Read more of the technical details on this Footrests page. 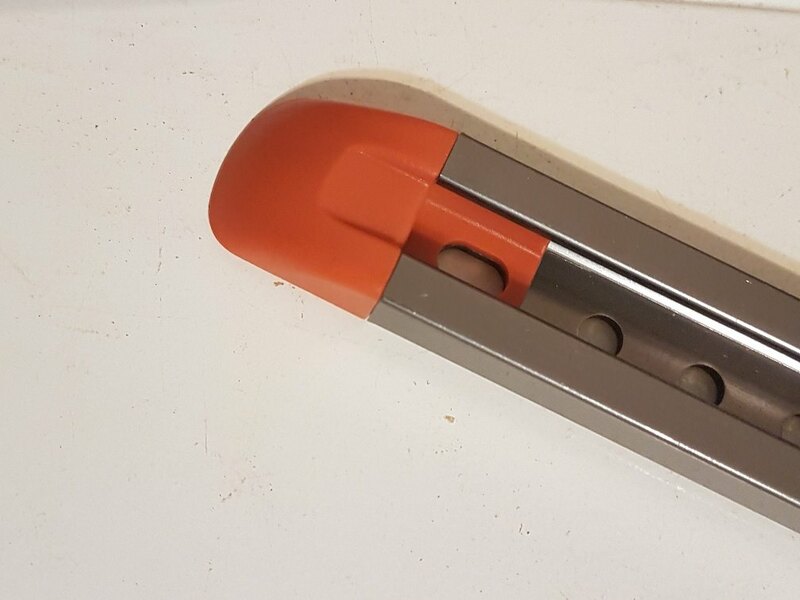 Complete assembly with Rail End Caps in view. 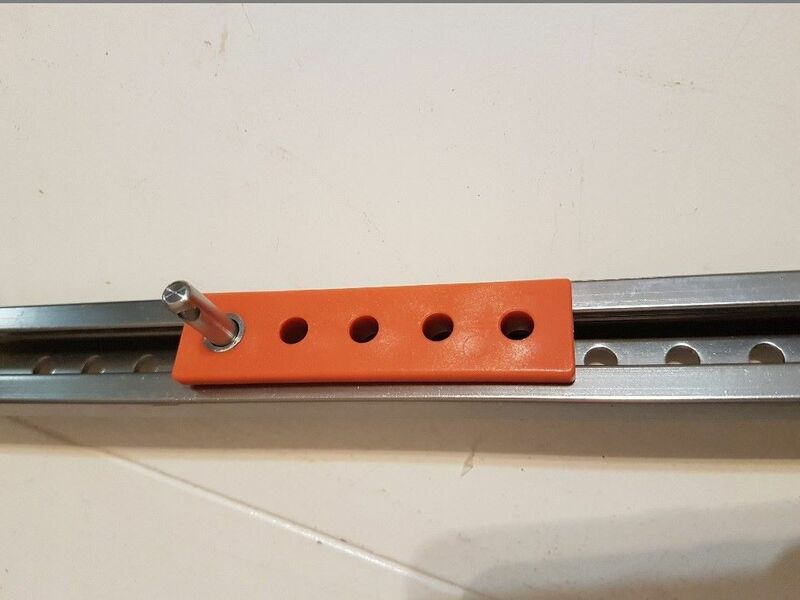 This photo shows the rail that connects the two Footrests. The rail slides as well, allowing for the footrests to move closer to each other in the sit-on-tops that have tapered footwells. 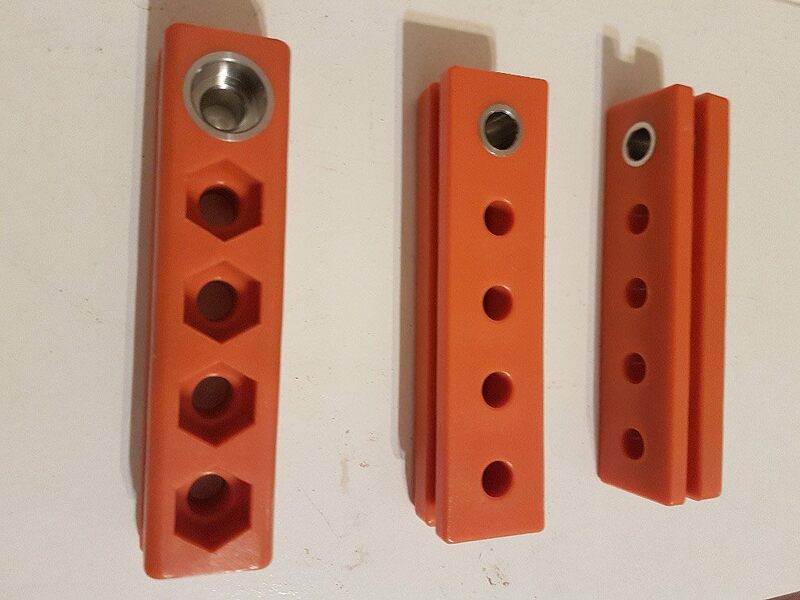 Rail End Caps finish off the rail beautifully to protect your legs from sharp edges. 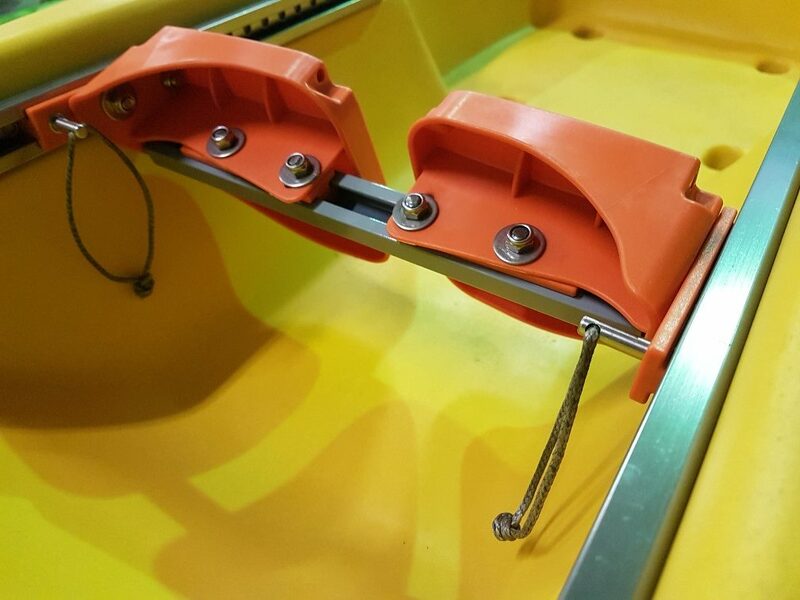 A view of the slider and pin in the rail - key elements of our Footrest system. 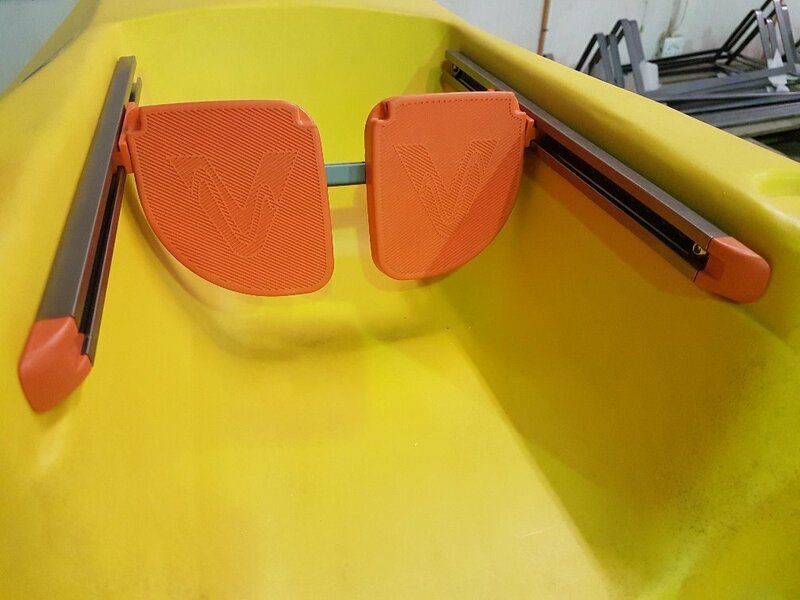 Different views of the slider component of the Footrest system. 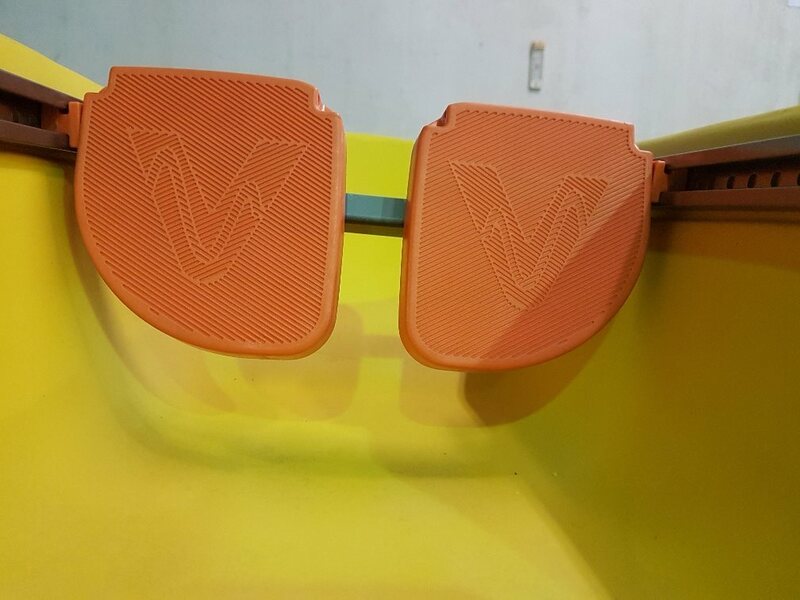 A great look at the textured Vagabond 'V' on the Footrests. The cord attached to each Footrest is sized to a measured length such that you can hook your thumb and pinkie in each to pull the pins single-handedly. The textured Vagabond 'V' on the Footrests.